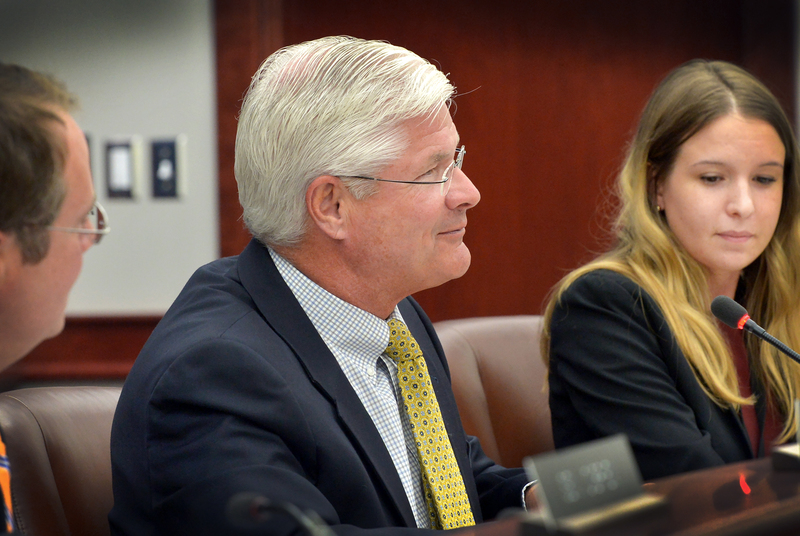 LANSING, Mich. — The Senate Committee on Health Policy, chaired by Sen. Mike Shirkey, R-Clarklake, heard testimony on Tuesday and approved legislation that would help curtail the rising opioid abuse epidemic in Branch, Hillsdale, and Jackson counties and across the state. The package of bills would require a licensed prescriber to have a bona fide prescriber-patient relationship before prescribing a controlled substance; require a physician who treats a patient for an opioid-related overdose to provide information to the patient on substance use disorder services; and prohibit prescribers from prescribing more than a seven-day supply of opioids for acute pain. Senate Bills 47, 166, 167, 270, 273 and 274 now head to the full Senate for further consideration. Note: For a print-quality version of this or other Shirkey photos, click the image or select Photowire, below.